Concerned that her son Chad may have become involved with a woman of dubious reputation, the formidable Mrs. Newsome sends her ‘ambassador’ Strether from Massachusetts to Paris to extricate him. Strether’s mission, however, is gradually undermined as he falls under the spell of the city and finds Chad refined rather than corrupted by its influence and that of his charming companion, the comtesse de Vionnet. As the summer wears on, Mrs. Newsome comes to the conclusion that she must send another envoy to Paris to confront the errant Chad, and a Strether whose view of the world has changed profoundly. 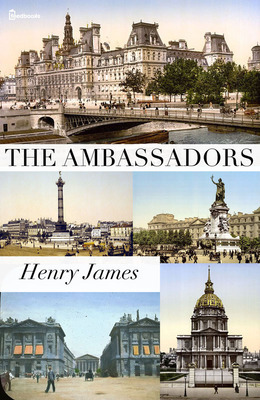 James’ favourite novel and one of the greatest of his late works, The Ambassadors is a subtle and often witty exploration of different American responses to a European environment.